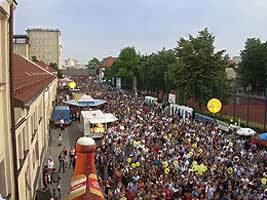 The Munich Löwenbräu Bladenight is the biggest night skating event in Europe! In the summer months there are several thousands of skaters every week who meet right in the centre of Munich. Each week there cars are banned from one of several different tracks through the beautiful city of Munich, ranging from 13 to 19 kilometers. 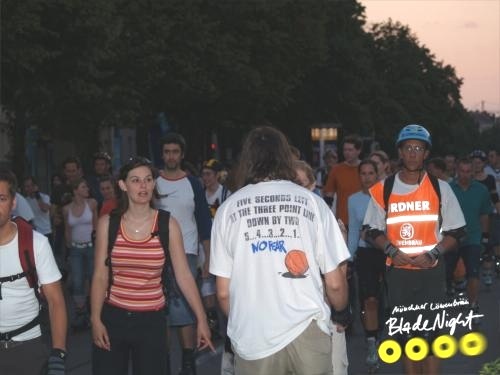 Except from the familiy blade-nights (happening on public holidays in the afternoons), the blade-night starts at 9pm and runs till 11pm to cause the least possible disturbance between car drivers and the skaters. Even though city administration, the police and several people from the red cross are helping with the organisation, such a big event needs more helping hands to keep control of the thousands of people taking part each week. 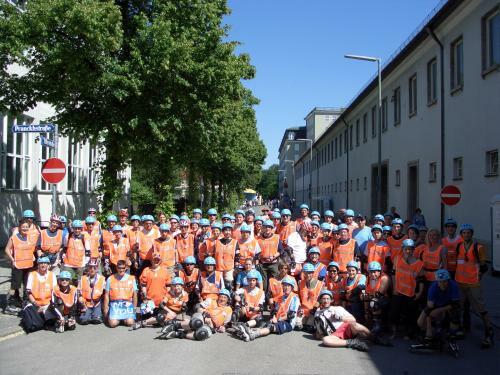 7 groups of people, so called blade-guards, are gathering and accompagnying the skaters to assure that people stay in the lane, obstacles are marked, car drivers are informed, accidents are avoided, questions are answered and help is given to anyone in need. These people are working on a voluntary basis and because of security regulations, without them the event would not take place. Here you can see me in action. Highly concentrated! This is Team 3. The largest of the 7 groups of blade-guards. I am one of the guys lying in front. Click to see the big picture. 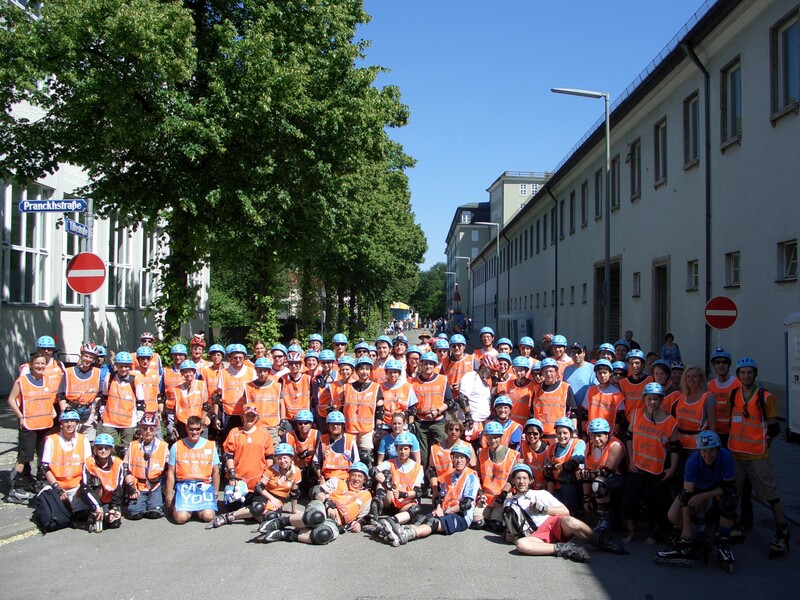 If you are interested in joining the blade-guard team, please visit http://www.bladeguardseite.de/.